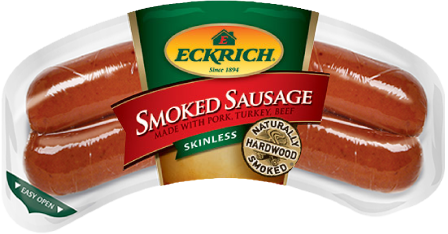 Slice the Eckrich Smoked Sausage into thin coins. Set aside. In a 4 quart saucepan, heat oil over medium-high heat. Add onion, carrots, and celery; sauté 5 to 6 minutes or until tender, stirring frequently. Reduce heat to medium. Add sausage, garlic and thyme; continue cooking 3 to 4 minutes or until sausage is lightly browned. Add flour; heat and stir about 30 seconds. Add broth, bring to a simmer, stirring occasionally. 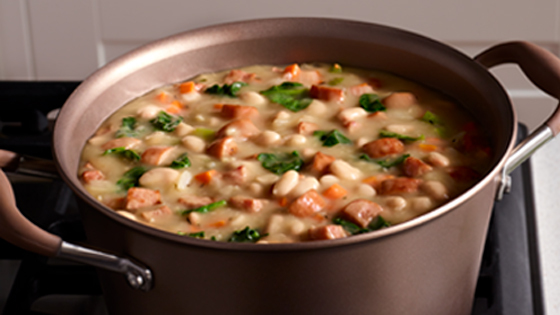 Stir in beans and Swiss chard; cook 3 to 5 minutes or until thoroughly heated and chard is tender. 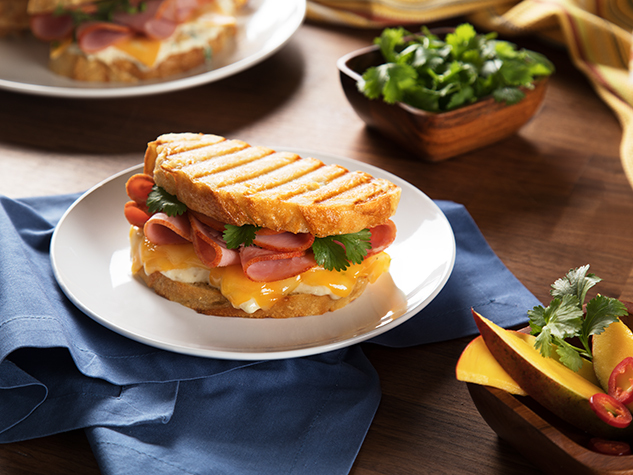 Tip: Substitute 1-14-oz. 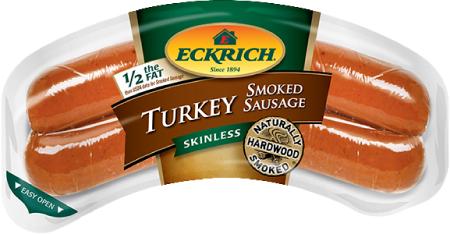 Package of Eckrich Skinless Smoked Sausage or 1 10-oz Package Eckrich Skinless Beef Sausage for the Turkey Sausage and enjoy another great flavor! 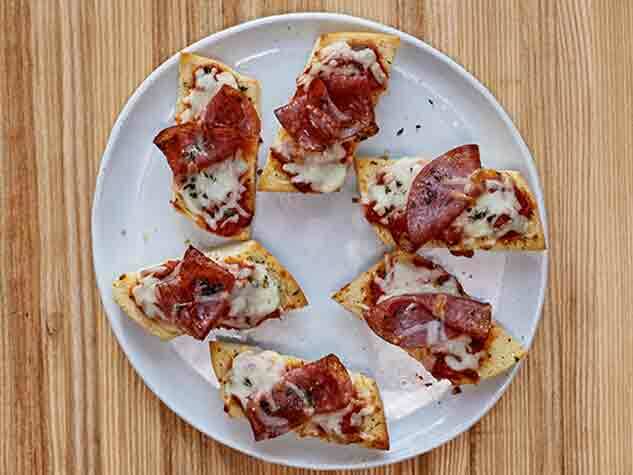 Top with cracked black pepper. 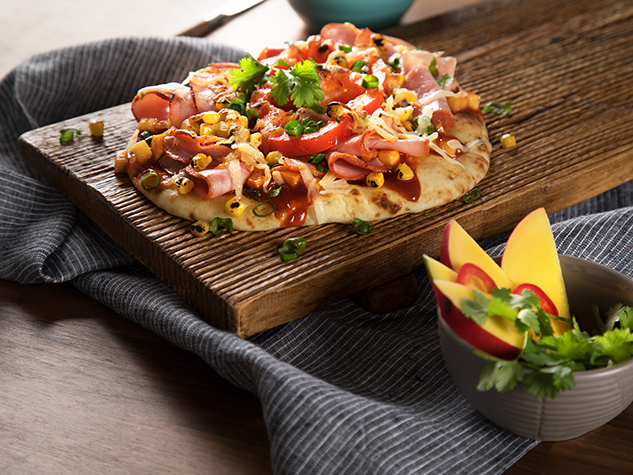 Omit cheese.